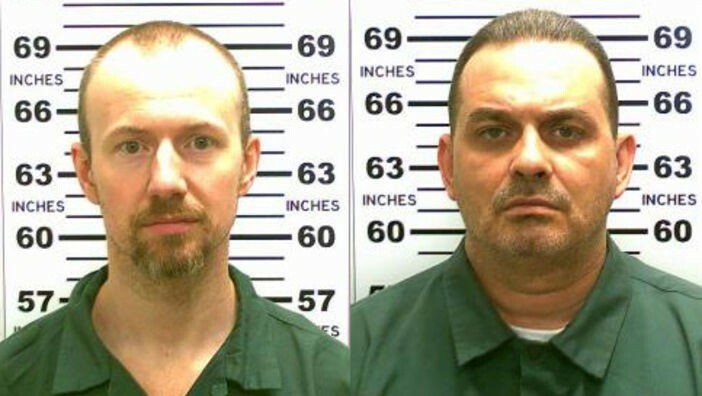 Dannemora escapee Richard Matt has been shot and killed by authorities near Malone, N.Y., the New York Times reported. David Sweat, his companion in the prison break, was being pursued, according to the Times and the Plattsburgh Press-Republican. The two convicted killers were discovered missing from Clinton Correctional Facility June 6, starting an intense manhunt that has transfixed the Adirondack region and has drawn media hordes to its tiny towns. At one point, authorities suggested the pair may have been headed for Vermont. The search area a week ago included a region of New York near Pennsylvania. But recently, traces of the men's DNA were found in a hunting cabin near Owls Head, about 15 miles from the prison, invigorating search efforts nearer to the correctional facility. The Times reported that federal agents shot Matt in a remote area in Franklin County. CBS identified them as Border Patrol agents.